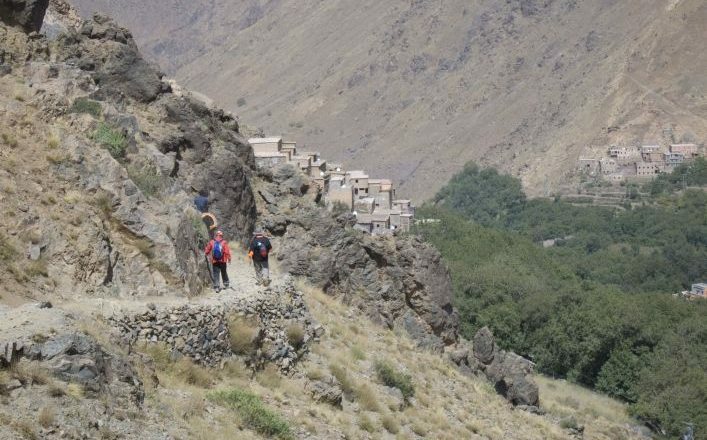 A Private Guided Walking Holiday in the High Atlas. 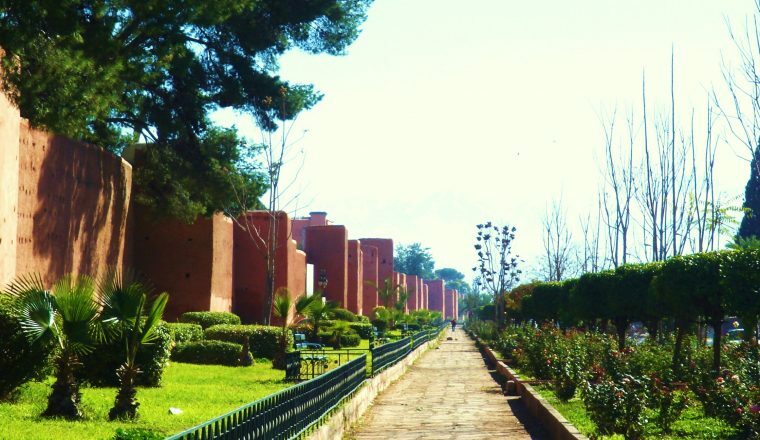 Glorious scenery, fascinating way of life, beautiful and exotic Marrakech. 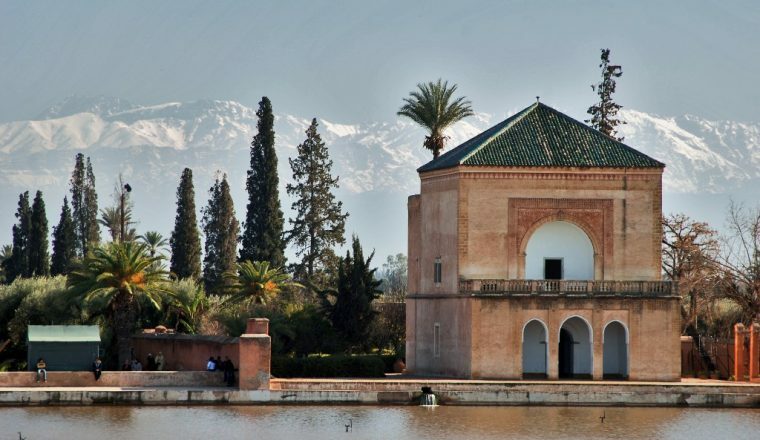 This is a private guided walking holiday in the beautiful part of the Atlas Mountain chain, which lies only a short distance from the remarkable city of Marrakesh, where you stay for two nights, with an option to prolong the stay there if you wish. The walking is not difficult but will allow you to enjoy the fascinating villages and fabulous views that characterise the area. 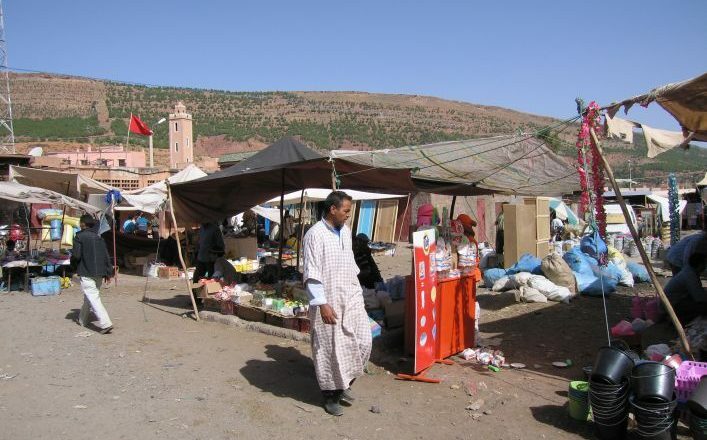 Accommodation in Berber family houses and you will be looked after by a qualified mountain guide. Price per person based on 2 people sharing a double/twin room – £679.00. Full board during the hiking portion (Berber family houses + picnic lunches + dinners). Arrival Marrakesh, meet and transfer to your riad. 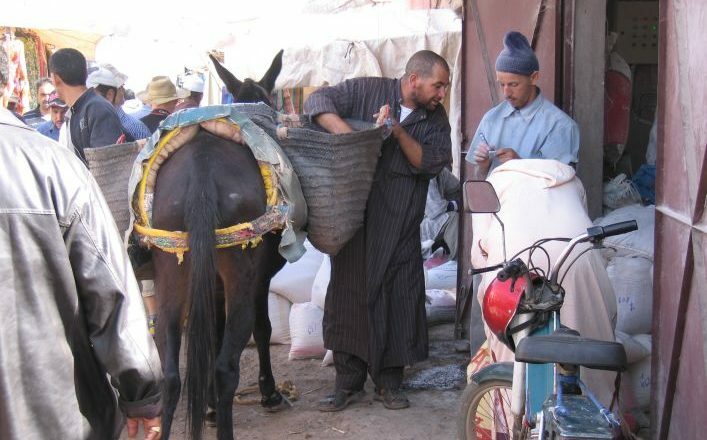 From Marrakesh transfer to Barrage Amezmiz (35 km), near the high Atlas chain. 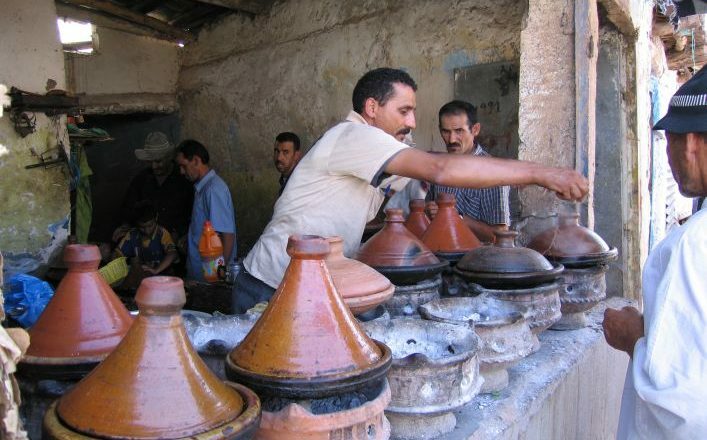 Visit the souk of Lala Takerkoust. Meet mule drivers and start walking across low hills and around the lake, crossing farms set beside tiny fields of corn, maize and olives trees. Overnight in a Berber house. 5 hours walking. 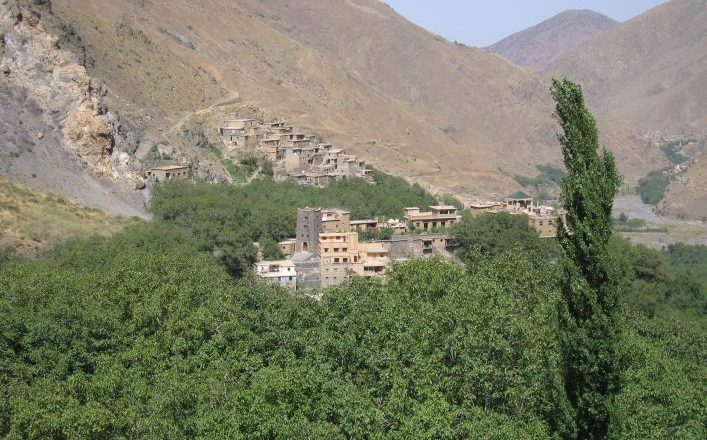 Start walking the foothills of the High Atlas passing near Tizgui village hanging at an impressive 1600m altitude. A panoramic view over the Haouz plain. In the afternoon continue along mule tracks and a small pine forest to reach Aït Ahmed village. Overnight in a Berber house. 5 hours 30 minutes walking. A good track to Imin’Tala, where villages of earth and stone, terraces and irrigation channels, overlook the Amezmiz river. Beneath a 4000m peak we pass the night in a Berber house. 6 hours walking. Cross the 1800m pass at Jbel Allaghine, via a small path in a spectacular pine forest, with a fine view across the snowy High Atlas summits. Continue to Tnirt village where we pass the night at a Berber house. 6 hours walking. Follow the path to pass Tizi n’Fourna, at 2021m the second highest point on the itinerary. A pleasant descent to Kettou village and its warm, welcoming Berber people. 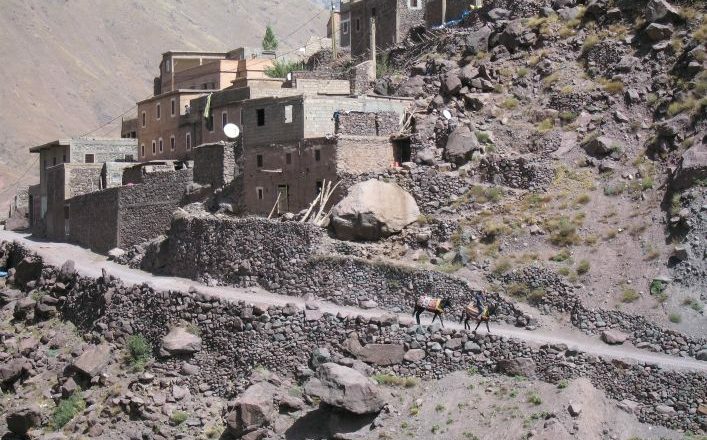 Continue along banks of the Amezmiz river to return to Imin Tala village to discover the traditional ways of Berber pastoral and farming life in the village. In the afternoon relax at the village Hammam, dinner and overnight at a Berber house. 5 hours 30 minutes walking. Pass through villages on the banks of the Amezmiz river in a mountainous landscape to reach Aït Zitoun village, where you meet the vehicle for the transfer to Marrakesh, overnight in your riad. 5 hours walking. Please note that this programme can be adapted to fit your specific requirements.